Kim Kardashian is finally back in Los Angeles … safe and sound with her 2 kids. 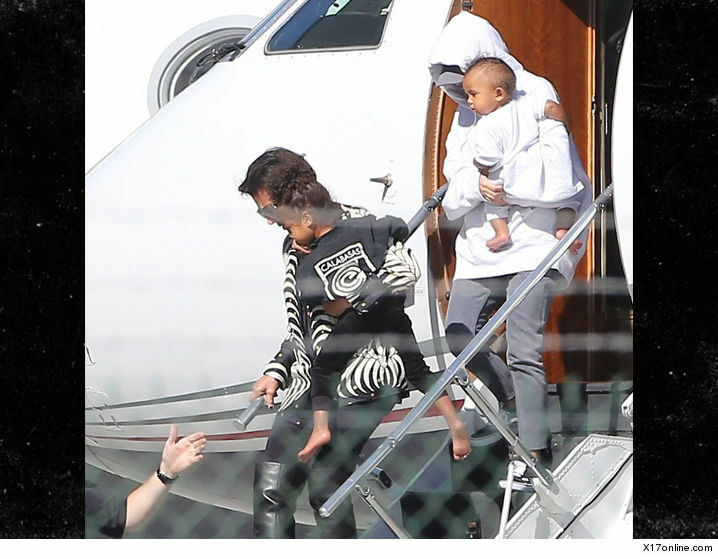 Kim cradled Saint — who’s too freakin’ adorable — while her mom, Kris Jenner, carried North off the private jet they took Thursday from NYC to L.A. Looks like Kanye West stayed behind on the east coast … he’s resuming his tour Friday night. As we first reported, Kim’s pulling back on flaunting her wealth — and she was clearly understated when she touched down. As much as you can be while stepping off a G4.